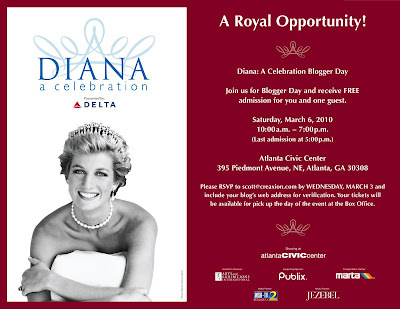 Alabama Bloggers: Another Atlanta Invite for Alabama Bloggers!! How exciting! I loved Princess Di. I hope to be able to go!